Heating fuel prices remained flat since early January in Maine, despite lower crude oil prices. The fuel prices normally move in the same direction of crude oil prices. Average heating oil and kerosene prices in Maine nudged up slightly since early January, while propane remained the same, according to the Governor’s Energy Office. That’s despite lower crude oil prices, which normally would translate into lower heating fuel prices. However other factors, such as cold weather, affect retail fuel prices, the energy office said. The energy office conducted its weekly heating fuel price survey on Monday. The statewide average cash price for No. 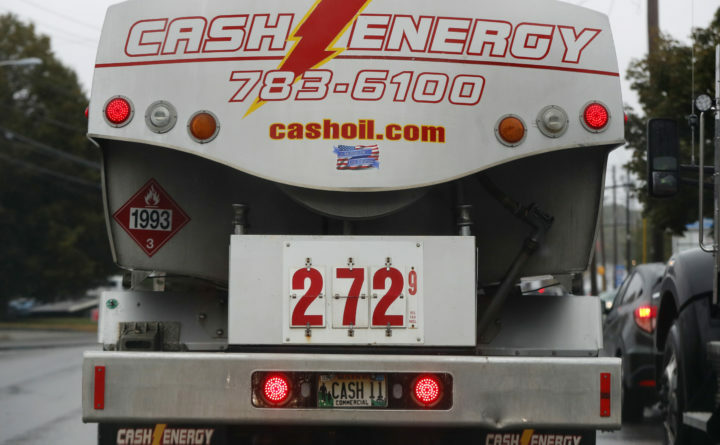 2 heating oil was $2.80 per gallon, up 3 cents since early January. The average statewide price for kerosene was up 5 cents since early January to $3.50 per gallon. Propane remained the same at $2.88 per gallon.